This study provides a summary assessment of concentrating solar power (CSP) and its potential economic return, energy supply impact, and environmental benefits for the State of California. Emphasis was placed on in-state economic impact in terms of direct and indirect employment created by the manufacture, installation, and operation of CSP plants. The environmental impact of CSP relative to natural gas fueled counterparts was studied. The value of CSP as a hedge against natural gas price increases and volatility was also analyzed. So far we haven't heard much about upcoming electricity price increases. Note the percentage of PG&E generation from natural gas in 2004. For all but one category, the percentage PG&E projected was within 5 percentage points of the actual percentage. Natural gas was 48 percent of PG&E's generation, rather than the predicted 42 percent, due to lower hydroelectric conditions, two nuclear refueling outages and higher than predicted retail sales. For specific information about this electricity product, contact Pacific Gas and Electric Company. For General Information about the Power Content Label, contact the California Energy Commission at 1.800.555.7794 or www.energy.ca.gov/consumer. "California State Treasurer Phil Angelides launched the Green Wave environmental investment initiative in February 2004, calling on the California Public Employees� Retirement System (CalPERS) and the California State Teachers� Retirement System (CalSTRS) to implement a four-pronged investment strategy to bolster their financial returns, create jobs, clean up the environment, and combat global warming." Approximately one third of one percent of California�s land could generate all of the state�s current electricity needs." "A Mideast war would be likely to disrupt oil markets nationwide, but the shock could be bigger in California, where more than 8% of the state's already tight oil supplies come from Iraq -- twice the percentage of the U.S. as a whole. "In fact, Iraq is the biggest single source of foreign oil in California, accounting for about 28% of imports. That's partly because the type of "sour" crude it produces is a good match for refineries owned by ChevronTexaco Corp., the state's No. 1 buyer of Iraqi oil...."
It is perhaps surprising that an early sign of the impending global energy crisis surfaced in a place as technologically advanced, innovative and wealthy as California. How did it happen? Will others be affected? Was it just market manipulation by the likes of Enron? Was it really a temporary incident? "U.S. natural gas supplies could fall as much as 10% in as little as six months from now. The drop could be close to double this amount by the time it bottoms. If this happens, it will jolt the U.S. economy far worse than the 1973 Oil Embargo. And unfortunately, there is no quick fix to this supply crisis. "The challenge has also been compounded by the $43 billion in long-term contracts the state locked in to buy 20 years worth of power. While state law called on contract negotiators to get as much renewable power as they could, they ended up relying heavily on natural-gas fired plants. More than 90 percent of the contracts are with such plants, according to a report by the California Public Interest Research Group." "The generation industry in the USA has gone on a mammoth dash-for-gas without properly checking [whether] the gas needed was in fact available - which it isn't. "Natural gas production in the USA and Canada has peaked and is about to decline rapidly, the first major natural gas province in the world to do so." Are you getting ready for the shock that this is going to create? The winter of 2001 was just the snow on the tip of the iceberg. See a list of stories on the California Energy Crisis at CNN. In order to lower emissions, electricity in California over the past few years has been increasingly produced from natural gas, a fuel source that is in decline. This is not to say that there is no more natural gas to be found. It means that there has been a shift from a buyer's market to a seller's market. If natural gas extraction is really in decline in the USA (see US Natural Gas Supply Update, by Jean Laherr�re, February 2001), where does California's natural gas come from? Increasingly, not from domestic sources. Canada exports 60% of its supply to the USA, and as Canadian gas fields produce less, supply to the USA will decline. Production in some Gulf of Mexico gas fields is decreasing 25%-50% per year. Obviously these conditions will lead to price increases for fuel. Only subsidies (taxes or inflation) can preserve unrealistically low prices for electricity. More to the point, soon natural gas will too valuable to waste as a fuel for electricity generation and other sources will have to be found. The value of natural gas is not simply its role as a fuel. Many people are not aware that "[h]elium, present in relatively high concentrations in only a few natural gas fields, is released to the atmosphere and wasted when the natural gas is burned as fuel. See: The Federal Helium Program: The Reaction Over An Inert Gas, by James E. Mielke, Science Policy Research Division, SPR, October 9, 1996. "From 1929 until 1960 the federal government was the only domestic helium producer. In 1960, Congress amended the Helium Act to provide incentives to natural gas producers for stripping natural gas of its helium, for purchase of the separated helium by the government, and for its long-term storage." Can we stop the overexploitation of natural gas before it is too late to preserve its valuable in such ways? 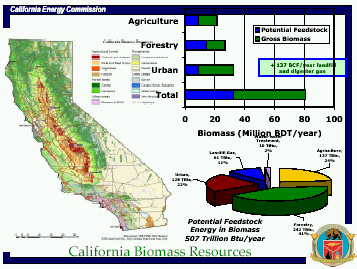 "The California Energy Commission is preparing a two-volume report entitled California Energy Outlook 2000. In accordance with the Commission's statutory mandates, this report will advise the Governor and Legislature on state energy policy issues. The Energy Outlook Report is scheduled for publication in September 2000.... Volume I will include an analysis of the western electricity and natural gas markets. 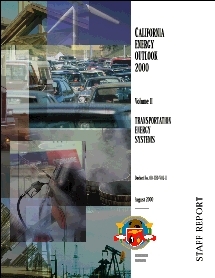 Volume II will review California petroleum and transportation trends and issues." If natural gas is to be exploited for transportation and electricity generation, "current consumption levels" is an irrelevant phrase. Continued growth is projected by natural gas industry associations, economists and government agencies. The statement does not explain how the USA is going to claim the rights to "North American" resources. Does the USA have first priority on Canadian and Mexican natural gas as those fields go into decline? The coming global oil peak will have an overwhelming impact on California as the 10th largest energy consumer in the world, with a transportation sector consuming 46% of that energy (i.e., oil). The timing of the coming peak may be controversial; however, given the substantial evidence that this "Hubbert Peak" will occur during the timeframe of this report's projections, the authors' failure to seriously address the peak is an egregious oversight. In Volume II of the staff's draft report, the only mention of a future peak in global oil production is tangential: "Substantial petroleum reserves exist in a wide variety of locations. 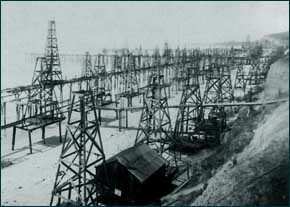 Many geologists see a looming peak and subsequent decline in production of conventional oil. These geologists would further argue that the production peak is likely to occur considerably sooner for non-OPEC countries (in the mid-term) than for OPEC (in the long-term), placing increased market power in a handful of oil exporting countries. This would increase the potential for higher average prices, higher price volatility, or both." While this statement suggests that the authors considered an oil peak, this consideration has had no evident impact on their report, which does not even contain a representation of a Hubbert curve. The only relevant projection (of demand, their Figure 1.2) depicts only an unlimited future, and no rollover. "The purpose of Volume I is to identify key long-term electricity and natural gas system reliability issues and developments related to market competition. Electricity and natural gas issues are addressed in one integrated analysis since electric generation developments have important implications for convergence with fuels markets and delivery infrastructure. This volume will include 10-year forecasts of the California supply, demand and price of both electricity and natural gas. These forecasts will also include scenario analyses that will assist energy policy assessments. The goal of Volume I is to present the information and policy options needed to forestall potential energy system supply problems. Volume II will focus on transportation energy trends and issues. Transportation issues are important to the California economy, considering that approximately 50 percent of the state's energy consumption results from transporting both goods and people. Furthermore, because petroleum fuels provide more than 99 percent of the state's transportation energy, events in the international petroleum market can immediately and adversely affect California gasoline and diesel fuel prices. California alone is the world's second largest consumer of gasoline, exceeded only by the remainder of the United States. A comprehensive assessment of the petroleum and alternative fuels markets will provide the foundation for addressing critical transportation needs and policy issues for the state. Commissioner William J. Keese, Presiding Member (of committee) is currently Chair of the Commission and fills the commission's position of the public at large. "A lawyer by profession, he brings to the Energy Commission 25 years of experience in the energy field. Chairman Keese earned his Juris Doctorate at Loyola University, Los Angeles, where he also studied engineering as an undergraduate. "Chairman Keese's initial energy activities included work on the legal framework for the developmentof geothermal resources in the Geysers area of California and on collaborative agreements for the development of British North Sea petroleum reserves. He also did substantial work on California's initial Superfund Legislation. He returned to the energy field, representing California's Solar Energy Industry Association for 12 years while also representing California's dentists and other business interests." Commissioner Michal C. Moore, Associate Member (of this committee), fills the commission's position of economist. "Since 1993, Commissioner Moore of Albion, California, has been a consulting economist. From 1993 to 1994, he served on the State Board of Landscape Architects. He was Chief Economist for the Landmark Land Co. from 1989 to 1991, and was Deputy Director for local government for the Governor's Office of Planning and Research from 1985 to 1991. He was elected Supervisor in the County of Monterey, serving from 1976 to 1985. He was also on the Seismic Safety Commission from 1978 to 1985. "In 1972, Commissioner Moore received a BS Degree in geology and natural resources from Humboldt State University, Arcata, California. In 1974, he received a master's degree in land economics from the Ecology Institute at the University of California, Davis. He is a candidate for a Ph.D. in land economics at Cambridge University, England. "His memberships include the Atlantic Economic Society, the Big Sur Foundation, and the Aircraft Owners and Pilots Association." Gerry Bemis, Manager, Fuel Resources Office. +1.916.654.4865. See other relevant documents, especially the Commission's mandate to provide accurate information to policy-makers: SB 110 Report to the Legislature: On the Energy Commission's Reporting, Forecasting & Data Collection Responsibilities.